Stefan Savides is an American sculptor of avian subjects whose work has found its way into public settings and private collections alike. Savides is one of few artists who has followed his artistic passion his entire life, never working in the mainstream, yet flourishing with his self employed career in avian art. His early art endeavors consisted in painting and woodcarvings of birds, however he found financial balance in avian taxidermy. In short order he found himself as an international figure in the world of bird taxidermy, judging taxidermy shows world wide as well as conducting seminars and workshops nationally and internationally. Savides was also a regular contributor to the taxidermy trade magazines writing articles dealing with design and technical issues. 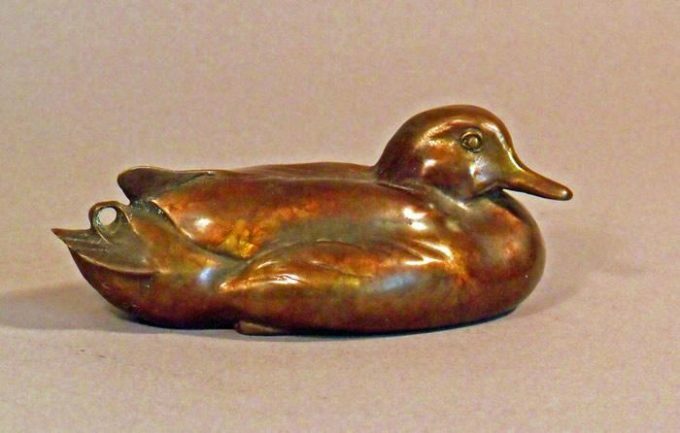 These years of working with birds became the backbone of his knowledge as he stepped into the world of bronze sculpture. 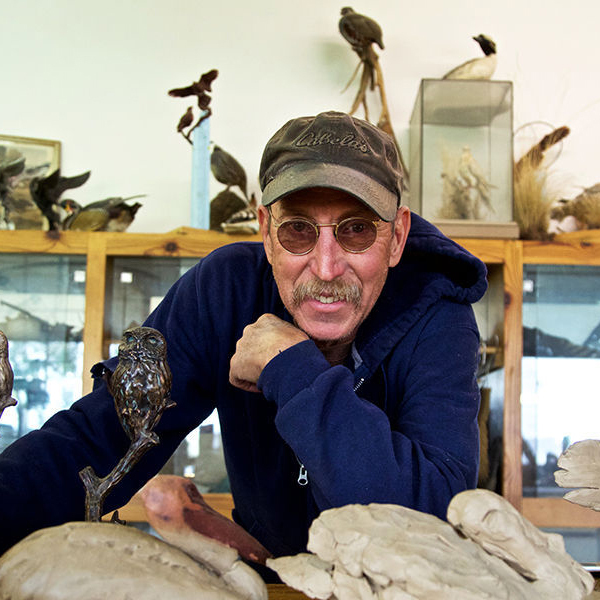 His understanding of anatomy, attitude and essence of birds is what gives his sculpture the element of life that transcends the mere mass of bronze metal he works in. 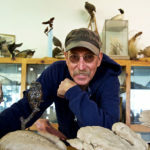 Stefan is a signature member in the Society of Animal Artists and an elected member of the National Sculpture Society. © Broadmoor Galleries. All Rights Reserved.